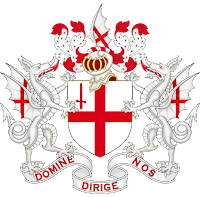 Coat of Arms of the City of London Corporation where Baha'ism was really born. 29: All Beliefs Site Controlled by the Baha'i Internet Agency: Beware! 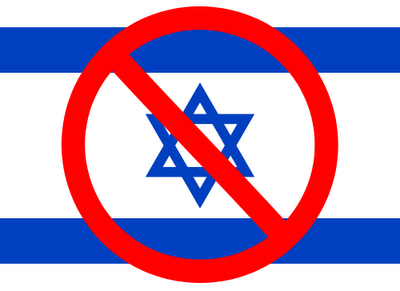 It is indisputable fact that any decision, directive or official undertaking by the Baha'i authorities in Haifa is the decision, directive and undertaking of the Israeli government itself. There is no difference between the UHJ and the Israeli government -- or the American government, for that matter. The UHJ is just a shared sub-division of the Israeli and American governments. "The attitude of the Bahá’í leaders to Judaism also impressed many Jews. 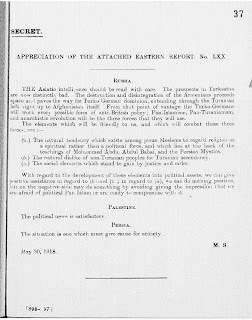 In 1891, Bahá’u’lláh wrote directly to Baron Rothschild, announcing to him the imminent return of the Jews to the Land of Israel. 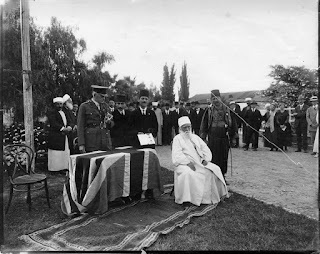 This idea remained constant in the messages to the Jews both in Iran and the United States that were delivered by ʿAbdu’l-Bahá during his visit there in 1912. In a letter, which ʿAbdu’l-Bahá wrote to the Jews in Iran in 1897, he did not leave any room for ambiguity about the messianic aspects which placed the Bahá’í faith in the heart of Judaism. This intimate relation between the two religions was emphasized even more by the fact that all the most important Bahá’í holy sites were located in the Land of Israel. (Faü 2004:267)" ~ Moshe Sharon, The Hebrew University in Jerusalem: https://archive.org/details/MosheShaonJewishConversionToTheBahaiFaith. ~ Hamid Dabashi, Islamic Liberation Theology, 2008, 80 and 83. Or Download FREE PDF (63 megs, scanned version), here. Comment: Larger Haifan Baha'i organization sues smaller Orthodox Baha'i faith for trademark infringement on the name Baha'i and loses. "Let me ask you why in the world you think that I would risk my professional reputation by publicly stating falsehoods? ...The very technique of the more glaze-eyed among these people is to unbearably bully a Baha'i whom they don't like, use unjustified threats of declaring him or her a CB [Covenant Breaker (heretic)] to silence the individual, and if the person will not be silenced, then to depend upon the gullibility of the Baha'is in refusing to listen to any victim's story because, of course, the Baha'i institutions are infallible and divinely guided and could never do anything wrong. It is a perfect racket. Of course, this technique of making liberals go away has been enormously successful, and ex-Baha'i liberals have no credibility with the remaining Baha'is nor do most of them have any energy to continue to make a case, either to the Baha'is or the outside world, for the incredible abuses that go on inside this organization ostensibly committed to tolerance!" "In many cases hikmat calls for the apparent suspension of a Bahá'í principle in order to ensure the protection of the Faith." Comment: In other words Baha'is may lie under any circumstance to ensure the protection of their organizational cohesiveness. 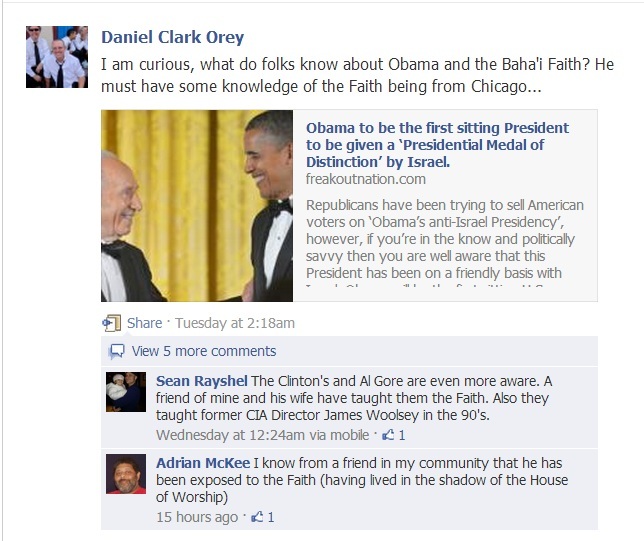 Hypocrisy of Haifan Baha'i Faith exposed once again! 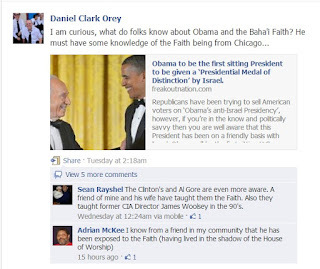 BAHA’IS ARE NOT JUST POLITICAL THEY ARE HYPOCRITICAL AS WELL! Although deepening the friends' understanding of the Covenant and increasing their love and loyalty to it are of paramount importance, the duties of the Auxiliary Board members for Protection do not end here. 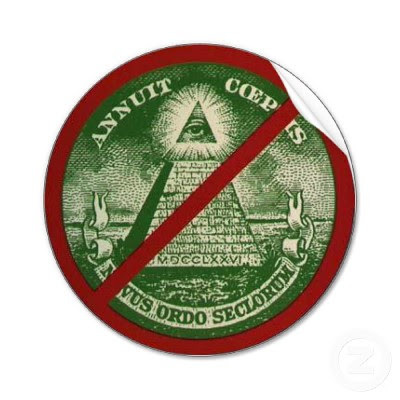 The Board members must remain ever vigilant, monitoring the actions of those who, driven by the promptings of ego, seek to sow the seeds of doubt in the minds of the friends and undermine the Faith. In general, whenever believers become aware of such problems, they should immediately contact whatever institution they feel moved to turn to, whether it be a Counsellor, an Auxiliary Board member, the National Spiritual Assembly or their own Local Assembly. It then becomes the duty of that institution to ensure that the report is fed into the correct channels and that all the other institutions affected are promptly informed. Not infrequently, the responsibility will fall on an Auxiliary Board member, in coordination with the Assembly concerned, to take some form of action in response to the situation. This involvement will include counselling the believer in question; warning him, if necessary, of the consequences of his actions; and bringing to the attention of the Counsellors the gravity of the situation, which may call for their intervention. Naturally, the Board member has to exert every effort to counteract the schemes and arrest the spread of the influence of those few who, despite attempts to guide them, eventually break the Covenant. The need to protect the Faith from the attacks of its enemies may not be generally appreciated by the friends, particularly in places where attacks have been infrequent. However, it is certain that such opposition will increase, become concerted, and eventually universal. The writings clearly foreshadow not only an intensification of the machinations of internal enemies, but a rise in the hostility and opposition of its external enemies, whether religious or secular, as the Cause pursues its onward march towards ultimate victory. 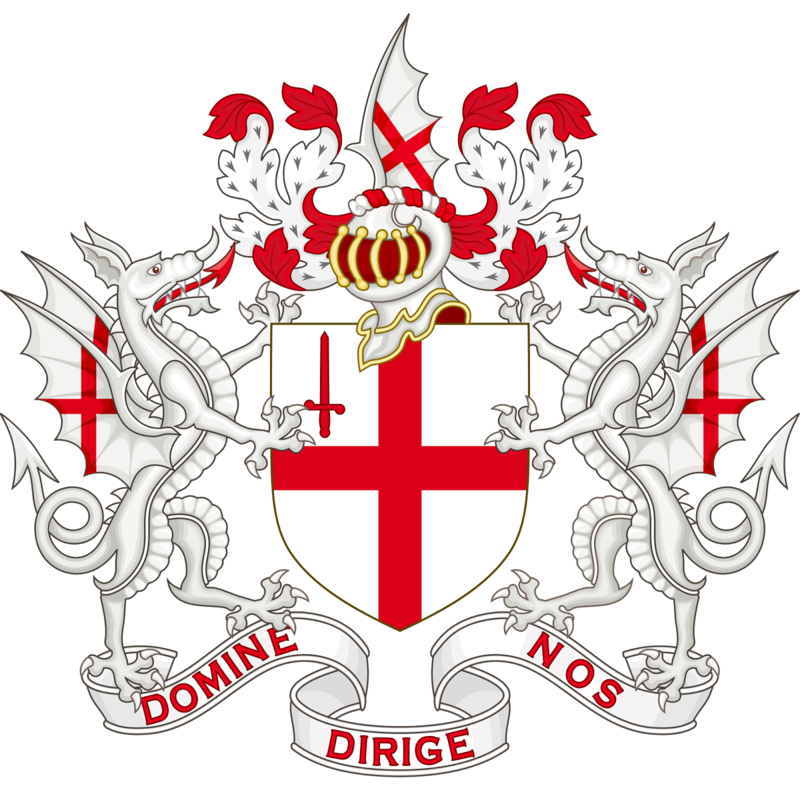 Therefore, in the light of the warnings of the Guardian, the Auxiliary Boards for Protection should keep "constantly" a "watchful eye" on those "who are known to be enemies, or to have been put out of the Faith", discreetly investigate their activities, alert intelligently the friends to the opposition inevitably to come, explain how each crisis in God's Faith has always proved to be a blessing in disguise, and prepare them for the "dire contest which is destined to range the Army of Light against the forces of darkness". The Covenant is what separates us from oblivion. It is the umbilical cord for the soul. It is the fulcrum by which to lever the world. It is the driving force of the universe. Adherence to it in times of great danger causes all the angels, the Concourse on High and the creatures of the world beyond to rush to assist the faithful. No power can overcome it, all powers are its servant. To skirt its boundaries is to invite insanity and immolation. "We have inherited a dangerous delusion from Christianity that our individual conscience is supreme. This is not a Baha'i belief. In the end, in the context of both our role in the community and our role in the greater world, we must be prepared to sacrifice our personal convictions or opinions. The belief that individual conscience is supreme is equivalent to "taking partners with God" which is abhorrent to the Teachings of the Faith." BAHAISM AND RELIGIOUS ASSASSINATION The Muslim World vol. 4, issue 4, 1914. 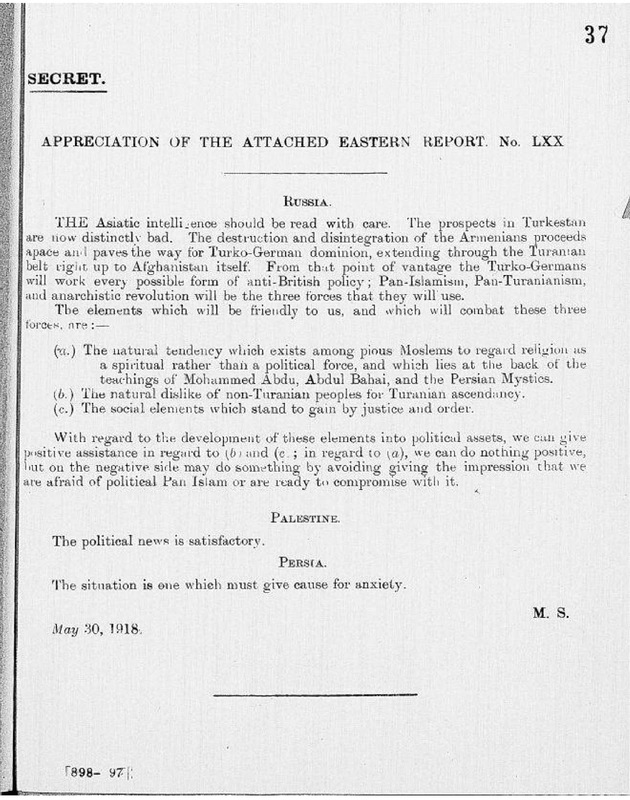 BAHAISM AND RELIGIOUS DECEPTION The Muslim World, Volume 5, Issue 2,1914-1915. O God! Whomsoever violates My Covenant, O God, humiliate him. Verily whosoever violates My Covenant, erase and efface him. From Mission Problems in New Persia, 1926, p. 83, 87 and 89 quoted by William McElwee Miller in The Baha'i Faith: It's History and Teachings, 1973, p. 289. "...There is no conscience with them [ i.e. the Baha'is], they keep to no principle, they tell you what is untrue, ignoring or denying undoubted historical facts, and this is the character of both the leader and the led...As to morality and honesty, the whole system has proved disappointing...I have been in contact with many Baha'is, and have had dealings with many and have tested many, and unfortunately I have met not a single one who could be called honest or faithful in the full sense of these words..."
Dr Sa'eed Khan [was] a highly-respected physician...who had as a doctor treated the second widow of the Bab, and had for a lifetime known intimately both Babis [i.e. Bayanis] and Baha'is in Tehran and Hamadan. As the two Indian cavalry brigades fighting under British General Edmund Allenby helped liberate Haifa from the Turkish-German forces, the British authorities heaved a sigh of relief. In a cable, General Allenby wrote, "Have today taken Palestine. Notify the world that Abdu'l Baha is safe." The spiritual leader of Bahai religion, a faith that began to emerge in the Ottomon empire in the 19th century, lived in Haifa, in present-day Israel. Alarmed by the growing popularity of Abdu'l Baha and his humanitarian and religious activities, the Turkish commander-in-chief threatened to crucify Abdu'l Baha on Mount Carmel in Haifa and destroy all the shrines of the Bahai faith as soon as the Ottomans won the war. When the news of the death threat spread amongst the British community in Egypt and elsewhere in Europe, Major Tudor-Pole, an intelligence officer with the British army in Palestine and a follower of Abdu'l Baha, persuaded the military authorities to rescue the leader. From Government's end: why Washington stopped working by Jonathan Rauch, 1999, pg 41-42. "A sign of the times was the opening of the Baha'i religion's Washington lobbying office in July 1987, complete with a staff of four and a budget of $400,000 - a telling moment, because the Baha'i faith requires its members to abstain from politics. When I peaked through the Baha'is window one day, the only remarkable feature of their Washington office was that it looked exactly like every other Washington office." 29: ALLBELIEFS site controlled by the BAHAI INTERNET AGENCY: BEWARE! Also refer to #2 above.